When I first started in the Blythe hobby way back when (2009! It’ll be 7 years in June! ), “grail doll” was a phrase used to describe a very sought after doll that was out of someone’s reach. This could be due to finances or just due to rarity. For instance, the beginning a grail doll for me was a Kenner Blythe because at the time they both seemed really expensive and they were really expensive. Custom Blythes at the time seemed expensive to me too, and they averaged around $300USD (a lot has changed over the years!). What are we? Chopped liver?! Nowadays, I see ‘grail doll’ being used to just describe a doll that someone wanted (and then bought! and then they resell). To me, that doesn’t really seem like a “grail” because it wasn’t ever really out of their reach, they just wanted the doll and bought it. If a grail object was that easy to find, there wouldn’t have been a journey to search for it and the adventure that goes along with it. But, I digress. A word is a word is a word, and language develops and changes all the time – and so does the definition of grail doll. I’ve had a lot of high-on-my-wish-list dolls come in – Margaret Meets Ladybug (Bennett), Velvet Minuet (Kindred), a redheaded Kenner (Emmalynn), and a Mondrian (Lottie). I think next on my wishlist might be an Aztec Arrival (BL) or Sunday Best (BL). I’ve seen BLs in person before, but I’m very much smitten with them now that Lottie is in my life. Do you use the phrase “grail doll” to describe your wish list? Who are you wishing for right now? I definitely use it only for dolls that seem out of my reach! 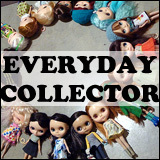 (I believe other kinds of collectors use it, too, in that way because of the Holy Grail). But, then, Zukin was my ‘grail girl’ and I splurged and bought her early in collecting, anyway. I think Goldie is my current grail doll. Or Skate Date EBL. 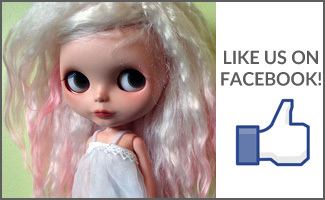 Skate Date EBL is a really pretty doll – I hope you do get her one day! It makes me sad whenever I see that it’s a SD EBL that gets customized because she is just so pretty as-is. My grail doll list currently has the Baby the Stars Shines bright collab dolls, Ribboneta Wish, Hatsune Miku collab doll, and a Kenner. The list might change again though. The only doll on my wish list is Bohemian Peace. I really wish. She would get on so well with my girls. 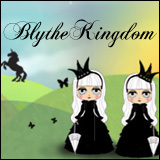 I work for an agency doing a research project on Blythe dolls, and we would love to talk to some Blythe collectors and fans to learn about Blythe, her world, her appeal… just what Blythe means to you. I definitely see ‘grail doll’ as meaning a doll that you would have to quest for over a long period of time – if she’s a grail, she’s not going to be easy to get! Miss Retro Mama is my grail doll. I want her sooooo super bad but she’s very expensive. One of these days, maybe when I get my tax return, SHE WILL BE MINE.